Jesslyn has been practicing and studying yoga around the world completing her 200 Hour Hatha Yoga Teacher Training with Feel Good Yoga on Vancouver Island, Canada. In 2015 she completed her Yin & Prenatal YTT and has been teaching for the past 10 years in Australia, Canada, Bali, Malaysia, Thailand, Nepal, India, the Philippines, Laos, Dubai, Nicaragua and Morocco. Her love of nature, traveling, yoga and alternative healing techniques have allowed her to travel and study with teachers from different spiritual lineages to extend her knowledge. She is also an Astrologer, Reiki & Thai Massage practitioner and offers sessions as well as conducting workshops, holistic healings, and readings. Classes consist of flowing sequences, classical postures, core stability and postural alignment. As well as Pranayama (breathing techniques), relaxation and guided meditation. Her dynamic yet soft presence, coupled with her knowledge and sensitivity lead you through a practice that is genuine, personally rewarding, and well-rounded in every aspect. 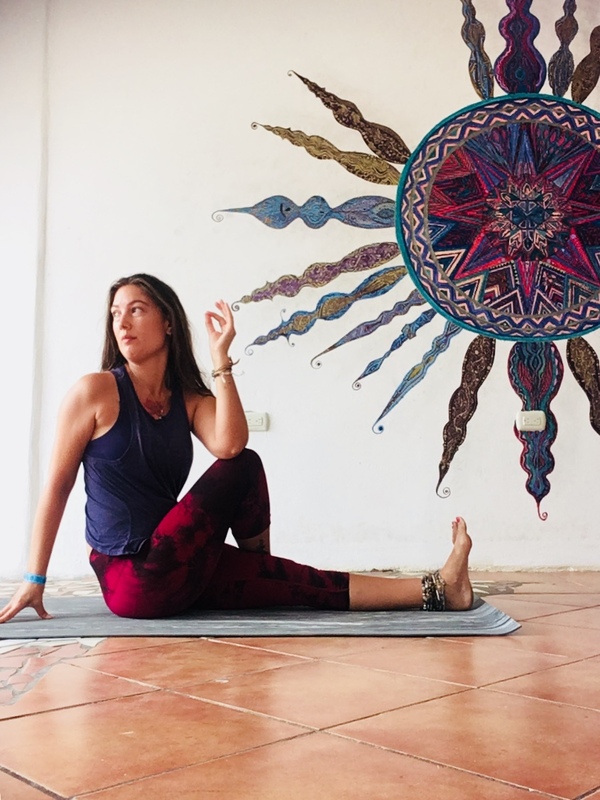 Jesslyn has traveled the world participating and facilitating a variety of yoga retreats, teacher trainings, workshops and classes. Yoga has become apart of her life and becoming a yoga teacher has brought her the greatest joy as it truly is her passion to teach, inspire and guide her students on their yoga journey.